Firefox, a browser targeted at mainstream users, has been one of the big successes of open source development in recent years. That Firefox succeeded where earlier attempts failed is undoubtedly due to the particular choices that were made in the process of development. In this paper, we look at this process in more detail. Mining bug reports and feature requests related to Firefox in Mozilla’s Bugzilla bug tracker system, we find that the attention developers devoted to reports and requests was influenced by several factors. Most importantly, other things being equal, reports and requests from outsiders increasingly tend to be ignored. While such behavior may have helped to shield Firefox from the “alpha-geek power user” in the early stages of development, it also makes it difficult for “mom and dad” to let their voice be heard even after they have adopted Firefox. 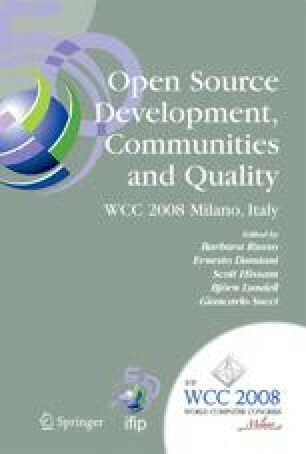 The work presented here has benefited from discussions with Paul A. David and others in the context of the OII/MTI project on Distributed Problem Solving Networks.